When it comes to marriage & divorce, Israel is a theocracy under the control of its Orthodox Rabbinate. What can be done? To all appearances, the Lavies are a normal, middle-class, non-religious family, struggling with the high cost of Israeli living and the day-to-day demands of raising four young children. The kitchen counters of their modest third-floor apartment in Giv’on HaHadasha near Jerusalem are covered with the clutter of a weeknight, the supper dishes draining next to the sink. The refrigerator doors are plastered with magnets holding down bills to be paid, school schedules and reminders of appointments and events. Two daughters, ages seven and nine, are playing in the living room while the younger children, both boys, are already asleep. But although they have been together for more than a decade and very much want to marry, Shlomit, 42, and Alon, 40, have been unable to do so. Shlomit is a widow, and in the eyes of Israel’s Orthodox rabbinate—which has sole authority over all matters of marriage and divorce in the country—she has not been free to remarry. Shlomit, like most secular Jews, had never heard of this law. Since there aren’t many widows of childbearing age who have no children and an unmarried brother-in-law, it is seldom relevant, and when it is, it’s usually a technicality. But for Shlomit it was not that simple: Her brother-in-law, who lives in Canada, refused to take part in the ceremony. 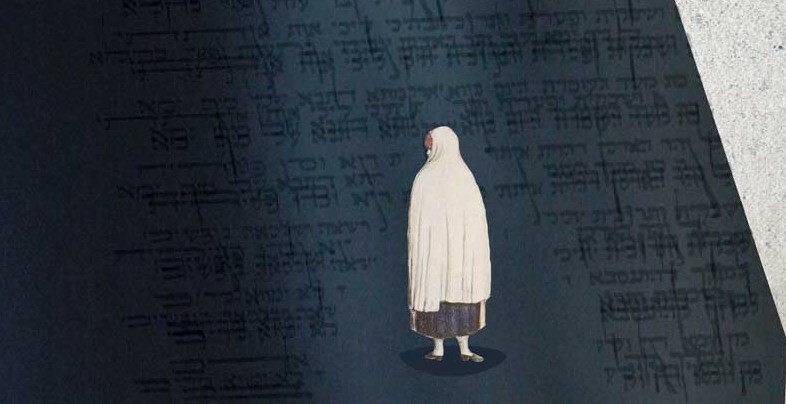 When summoned by the rabbinical court, he rarely appeared, and when he did, he demanded large sums of money in exchange for “permitting” Shlomit to perform the ceremony. Some time after her husband’s death, Shlomit met and fell in love with Alon. “Neither of us was so young anymore,” she says. “We wanted to get married, but we realized that if we would wait for the rabbinical courts, we’d be too old to have children of our own.” Without recourse, she formally took Alon’s surname, and the two lived as a couple and became a family when the children were born. Halitzah applies to any Jewish woman anywhere in the world, but as long as civil marriage is an option, a widow can choose to ignore the religious injunctions and remarry. In Israel, a rare democracy that legally sanctions a religious monopoly over marriage and divorce, this is impossible. When a Jewish couple walks into a government office to obtain a marriage license, it is supervised by rabbis and run according to Orthodox interpretation of traditional Jewish law, known as halacha. According to Hiddush, an Israeli non-governmental organization (NGO) working toward religious pluralism, Israel—regarded as the Middle East’s only democracy—is among 45 nations with “severe restrictions” on marriage; most of the others are governed by Islamic law. This places the Jewish state in the dubious company of nations such as Afghanistan, Iran, Pakistan, Saudi Arabia and Sudan. The chief rabbinate, which falls under the jurisdiction of Israel’s Ministry of Religious Services, maintains and supervises a massive religious government bureaucracy made up of a network of rabbinic courts consisting of regional, municipal, community and neighborhood rabbis. In addition to marriage and divorce, the rabbinate is responsible for all “personal status” issues, such as conversion, which is closely related to marriage; burial; kashrut certification; supervision of ritual baths and other religious services. Over the decades, the Knesset, civil courts and Israel’s Supreme Court have created options for couples who are willing to forego official Jewish marriage. Chief among these is a 1963 law stipulating that marriages performed outside of Israel must be recognized by the state. Many Israelis with the necessary resources take advantage of this. In 2010, nearly 36,000 couples were married in Jewish courts, and another 9,262 couples had weddings abroad, according to Israel’s most recent census. And in recent decades, the courts have strengthened the rights of common-law couples so that they can maintain joint bank accounts, both be recognized as parents of their children, and be eligible for all social security and social welfare benefits and inheritance privileges to which a married couple would be entitled. Nevertheless, the vast majority of people in Israel—such as the Lavies—want their unions to be recognized by the state as marriages. Israel’s religious laws date back to the medieval rise of the Ottomans, whose millet system granted limited authority to each recognized non-Muslim minority to conduct their own religious and communal affairs. After World War I, the British kept the system in place and appointed Orthodox rabbis to act as the supreme halachic and spiritual authority for the Jewish people in Palestine. In 1947, before the British pulled out and Jewish State was established, future Prime Minister David Ben-Gurion made what is known as the “Status Quo Agreement.” Under this agreement, he made concessions to the religious parties, including recognition of the authority of the chief rabbi and rabbinical courts. In 1953, the Knesset passed legislation that reinforced this faith-based system by clearly placing all matters of marriage and divorce for Jews in Israel under the jurisdiction of these rabbinic courts. Religious leaders became civil servants—even if they perceived themselves as answering to a higher authority. And to this day, religious court verdicts, like civil ones, are implemented and enforced by the police, bailiff’s office, and other law-enforcement agencies. Why did Ben-Gurion, an avowedly secular Zionist, push so strongly for the Status Quo Agreement and the subsequent 1953 legislation? And why was there so little opposition to these decisions? But mostly the decision came down to politics—counting who was for and who was against establishment of the Jewish State. Although small in size, the religious parties held the balance of political power at the time, and Ben-Gurion wanted the state to have the legitimacy of Orthodox backing. “Ben-Gurion needed their support in order to guarantee the establishment of the State, and he knew that the religious parties were never going to give up on the crucial issue of marriage and divorce, which throughout the millennia [in exile] had been the sole province of the rabbis,” says Ben-Porat. Israel, regarded as the Middle East’s only democracy, is among 45 nations with “severe restrictions” on marriage; most of the others are governed by Islamic law. Women are most vulnerable when it comes to divorce, which in Jewish law centers around the get—a bill of divorce. With the exception of a few specific instances, a get is valid only if the husband offers it willingly to his wife, and his wife accepts it willingly. But when divorces are not amicable, as they often are not, the get becomes the perfect tool for financial and emotional blackmail. That’s because if a husband refuses, or is unable, to offer his wife a get, whether out of spite, because he is in a coma, or mentally ill, or lost in battle, or for any other reason, she is considered an agunah, literally a chained woman. In these cases, the woman is not permitted to remarry. While men, too, can be in a position of being unable to remarry—a wife must accept the get for the divorce to be valid—there are numerous accepted workarounds for men, including a heter meah rabbanim, a dispensation from 100 rabbis. There are none for women. These rules apply to all Jewish women, but are particularly onerous in Israel, where there is no civil divorce. How many Israeli women are currently being refused a divorce or being held captive as agunot? Estimates vary widely: The rabbinate speaks of a few hundred, while women’s groups such as the International Coalition for Agunah Rights say as many as 100,000. Academics at Jerusalem’s Center for Women in Jewish Law estimate 20,000. Get abuse is pervasive, says Halperin-Kaddari. “It’s present in every third divorce; it intimidates every fourth divorcing woman; and almost a third of the divorces end in settlements that deviate from the law to the disadvantage of women,” she says. Get abuse, she continues, is more prevalent in the religious and ultra-Orthodox communities, where she says half of all divorcing women are threatened with the refusal to be granted a get, and almost half eventually give in to getextortion. The religious laws of divorce apply equally to non-religious women. According to Israel’s Bureau of Statistics, only 8.2 percent of Israelis identify as ultra-Orthodox and 11.7 percent as religious. The remainder consider themselves to be “traditional” (38.5 percent) or secular. Many of these women are not even aware that Jewish law pertains to them until their marriage has fallen apart. The situation is even more difficult for women whose husbands have disappeared or gone into hiding. I traveled to a small farming village outside of Tel Aviv where I met Bruria, who also asked not to have her last name published. She is 32, and like Galit, has been in marital limbo for six years. The blue kerchief covering her head, which matches her simply cut blue blouse, is a sign that she is a religiously observant woman who observes the modesty requirement that a married woman should cover her hair. 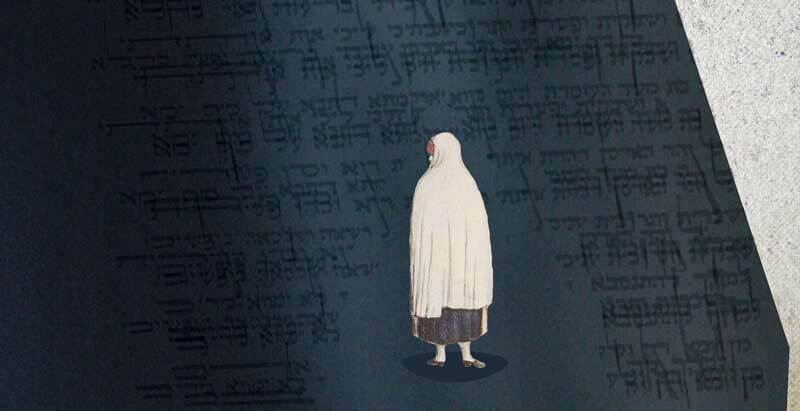 The rabbinical court referred Bruria to an “agunah department” in the chief rabbinate’s office, which is employing private detectives (at the public’s expense) to look for her husband, who is apparently living in Europe. “But what can the detective do if he finds him?” she wonders aloud. “Maybe he will beat him up until he agrees.” In practical terms, there is little a detective can do. Israel’s civil legal system has weighed in: In 1995, the Knesset passed a law aimed at “persuading”—but not forcing—a husband to grant a get by imposing sanctions that include suspension of their credit cards, bank accounts, passports, and driver’s and professional licenses and injunctions against leaving the country. The impact of the sanctions law, however, has been limited: In 2008, only 20 arrest warrants were issued and private investigators were hired 36 times to find men who had disappeared in Israel or abroad, according to the rabbinate’s website. Few Jewish Israeli women, even the most secular, are willing to completely dismiss the need for a get. According to Jewish law, if a woman conceives a child with another man while still married to her first husband—even if she and her husband have not lived together for years—her relationship will be considered adulterous and her children will be considered mamzerim (mamzer in the singular). The law forbids mamzerim—those born from an adulterous or incestuous union—and their offspring from participating in the Jewish community and from marrying other Jews for 10 generations. “Who can predict that, across the generations, none of your descendants will ever choose to be religious, marry a religious man or women, or marry in Israel?” explains Rachel Levmore, a rabbinical court advocate and head of theAgunah and Get-Refusal Prevention Project of the International Young Israel Movement in Israel and the Jewish Agency. The relationship between civil and religious law is more complex when it comes to child custody and property distribution. In the landmark 1992 case of Bavli vs. Bavli, the Supreme Court ruled that civil courts take precedence over religious courts in these areas, but religious courts have not accepted this decision. They have continued to apply halachic norms, rather than civic norms, such as gender equality and Western understandings of the best interests of the child. In practice, this means that either rabbinic courts or civil family courts can adjudicate these issues—it’s simply a matter of which spouse registers first with which court. Men and religious women tend to prefer the religious courts, which usually refrain from objecting to men’s demands in order to guarantee that the divorce will be given willingly. Less religious and secular women tend to prefer the civil courts, which follow civil laws. Israeli society is much more traditional than would appear. Even if tomorrow we were to have civil marriage, 90 percent of Israelis would still have a religious marriage. Under Israel’s 1950 Law of Return, administered by the Ministry of Interior, anyone with at least one Jewish grandparent, and his or her spouse, has the right to immigrate to Israel and gain automatic citizenship. The rabbinate, on the other hand, has very different criteria for who is a Jew and will only agree to marry a person if he or she is Jewish as defined by Orthodox law: In other words, only people who are born to a Jewish mother or have been converted. But over the last two decades, the rabbinate has insisted upon increasingly stringent requirements for proving Jewish descent. This has had a major impact on marriage in Israel, particularly on recent immigrants such as the approximately one million people who came from the Former Soviet Union (FSU). David Borozovski, now 40, arrived with his family from the FSU in the large wave of immigration in the late 1990s. His father was a physician, his mother an engineer. After difficult beginnings, the family did well socially and financially. David integrated into Israeli society, served in a combat unit, completed a degree at Tel Aviv University and now works as a high-tech engineer; his future wife, also from the FSU, is studying medicine. Both of his parents are now deceased. David has applied for help from the partially government-funded group Shorashim (Hebrew for “roots”), which takes on more than 1,000 cases a year. It sends specially trained researchers to the FSU to wade through old Soviet and even Czarist records to find documents attesting to Jewish lineage. Aware of the problem, the Knesset passed the Civil Union Law in 2010 in yet another limited attempt to temper religious law with civil law. It allows for civil marriage if both the man and the woman are officially registered as not belonging to any religion. However, out of the 400,000 “non-Jewish Jews,” only 30,000 are officially registered as without a religion, and they are the only ones who can take advantage of this law. Since it passed, the provision has applied to only 94 couples. Ben-Porat calls the law “insignificant” and points out that it cannot be expanded to allow civil marriage for all. The Jewishness of Ethiopian Jews, most of whom arrived in Israel in two waves, between 1990 and 1999, and between 2000 and 2004, has also been subject to question. Even though Chief Sephardi Rabbi Ovadia Yosef ruled in the 1970s that all Ethiopian Jews were halachically Jewish and thus not in need of conversion, not all rabbis accept his decision. This troubles Gadi (he asked me not to use his last name), who spoke with me at a trendy coffee shop in Tel Aviv. “After all my family and I suffered to get to Israel? A rabbi, appointed by the state, tells me that he won’t register us for marriage, because he doesn’t think we’re Jewish,” he says, his voice taut with hurt and anger. Short and tightly built, Gadi, 32, came to Israel from Ethiopia, crossing the Sudan with his family on a perilous, two-year journey. The family settled in Petach Tikva in central Israel. Like most Ethiopians, Gadi attended religious boarding school and completed compulsory military service. A teacher for underprivileged children in Petach Tikva, he wears a knitted kippah and maintains a religious lifestyle. Unfortunately for Gadi, Rabbi Benjamin Attias—head of the rabbinic court in Petach Tikva and a member of the Mizrahi ultra-Orthodox Shas party—has repeatedly refused to grant permission for Ethiopian Jews to marry. And despite the earlier ruling, and numerous pronouncements that rabbis such as Attias cannot make their own decisions in this matter, the chief rabbinate has been unwilling to intervene. At least half and perhaps even two-thirds of all children growing up in the American Jewish community today would not be allowed to legally marry in Israel. Tehila Cohen is an attorney with Yad L’Isha: The Monica Dennis Goldberg Legal Aid Center and Hotline, an organization founded by Rabbi Shlomo Riskin’s Ohr Torah Stone Institution, and one of a dozen or more religious women’s groups now working within the rabbinical courts. I met her at the Jerusalem court, where she was dashing energetically between offices and among the bearded rabbinical authorities, ensuring that the last details of a woman client’s get were being completed. Cohen, who covers her hair in the style of religious Zionists, is a religious advocate meaning that she has the rabbinate’s permission to address the court on behalf of women. That a woman can serve in this position at all is due to a 1993 Supreme Court decision. Cohen’s job is to use her extensive legal and religious knowledge to find solutions to impossible cases. She tells me about Hawida Tzabari, who grew up in Yemen, and at age 12, was forced to marry a 20-year-old man whom she had never met. To escape her husband’s violent behavior, she eventually fled Sana’a for New York, then Israel. Still, she was legally tied to her husband, who told her he would never give her a divorce or allow her to see her two daughters. “If the rabbis have the will, they can always find a way to solve problems within the framework of halacha,” she explains. Indeed, religious women’s advocates like Cohen say rabbinic will is the heart of the issue. After the Yom Kippur War, for example, Rabbi Shlomo Goren, who was then head of the Israel Defense Forces’ (IDF) Military Rabbinate (as well as chief rabbi of Israel, chief judge of the Supreme Rabbinical Court of Appeals, chief rabbi and rabbinical court presiding judge of Tel Aviv), saved untold numbers of women from becoming agunot war widows. Countless times, he and his staff crossed enemy lines in order to locate and collect the remains of fallen IDF soldiers, identify them and bring them to burial. Not everyone wants a system that relies on something as intangible as rabbinic will, and there are a number of proposals for reform that may gradually be gaining acceptance from the religious establishment. Rachel Levmore, for example, has proposed an optional prenuptial agreement, known as the “Agreement for Mutual Respect.” The agreement, Levmore explains, protects both the woman and the man from future get refusal via two mechanisms: One is a monetary incentive to arrange a get within six to nine months, the other encourages couples to attend therapy sessions. Both these mechanisms are designed to help warring spouses to communicate and reach an agreement in a dignified manner. Tehila Cohen says there is a problem with this approach: many starry-eyed young couples often resist signing pre-nups. Those couples who want to avoid the rabbinate altogether can take advantage of the law allowing marriages abroad to be registered with the state. Most go to Cyprus, which is nearby and has an entire tourist industry devoted to accommodating Israeli couples and their families. The numbers of Israelis choosing this option is growing. According to the Central Bureau of Statistics, in 2012 16.9 percent of marriages involving at least one Jew took place outside of Israel, a 5.4 percent increase over 2011. Another popular trend is cohabitation. But these common-law marriages are not the same as official ones: They create more bureaucratic hassles, says Ben-Porat. For example, unmarried couples need to show proof of their cohabitation status in order to obtain a mortgage. But perhaps the most telling trend is that young observant Orthodox Jews are more frequently bypassing the rabbinate. Tanya Zion-Waldoks is a young, self-defined modern Orthodox woman, well educated in Jewish law, active in religious feminist circles and working on her Ph.D. dissertation in religious and gender studies at Bar-Ilan University. “For nearly a year, my husband, Ehud, and I studied the Jewish wedding ceremony and we knew that we would not be married within the rabbinate,” Zion-Waldoks says. “This was a form of a political statement, relating to gender and equality and the fact that getting married in the rabbinate implies the subjugation of women. We wanted our ceremony to express our Jewish identity and our values of partnership, love and mutual respect.” The couple was married in a private ceremony conducted by a like-minded Orthodox rabbi. And while the Zion-Waldoks family live as modern Orthodox Jews, in the eyes of Israeli and Jewish law they are merely cohabitating. I’m a religious Jew. My future wife is a Jew. I will not shop around to find someone who will agree to that. It’s the truth. Most Israeli Jews believe that the rabbinate serves an important purpose in maintaining the Jewish character of the state. But with the rabbinate’s newfound rigidity, a range of studies shows that passive acceptance of its control over marriage is waning. A 2013 survey conducted by Geokartography, an independent Israeli research group, determined that 71 percent of Israeli Jews said they were not pleased with the chief rabbinate. In its research, Hiddush, the NGO promoting religious pluralism, found that 63 percent of Israelis and 88.5 percent of those who define themselves as secular support the possibility of civil marriage in Israel. Encouraged by these statistics, a new coalition is forming to push for civil marriage, says Mickey Gitzin, a member of the Tel Aviv City Council. Gitzin is also the executive director of Israel Hofsheet [Be Free Israel], an NGO advocating for ending the Orthodox monopoly that is part of a broad group of Israeli organizations developing public campaigns to create pressure on the government. Jews are not the only ones calling for change. The lack of civil marriage in Israel also impacts the members of all other recognized religions—Muslim, Baha’i, Druze and 10 Christian denominations such as the Latin (Roman Catholic) Church and the Greek Orthodox Catholic Church. Like Jews, each of these groups is bound to its own religious courts. Since there are only 120,000 Christians in Israel, the marriage pool is small, says Amnon Ramon, an expert in Christianity at the Jerusalem Institute for Israel Studies. As a result, “most of them ‘intermarry’ between the denominations. Which means that one member of the couple ‘converts’ to the other’s denomination, because the different clerical courts will not agree to intermarriage.” This situation is exacerbated, he adds, because the Latin Catholic Church does not recognize conversion. Most fraught is intermarriage between Jews and Arabs, who make up 20 percent of Israel’s population, and are mostly Muslims. This August, Israeli newspapers were full of stories about the wedding of Morel Malka, a Jewish woman who converted to Islam, and Mahmoud Mansour, an Israeli Arab. Hundreds of angry protestors held a noisy demonstration against the marriage. They were organized by Lahava, an extremist NGO that opposes “miscegenation,” as it calls marriage between Jews and non-Jews. Most of the press coverage did not mention that the couple had no choice if they intended to marry: It is very difficult for Muslims to convince the rabbinate to convert them. Israel’s rabbinate has become increasingly bold in asserting its authority over conversions conducted in the United States. 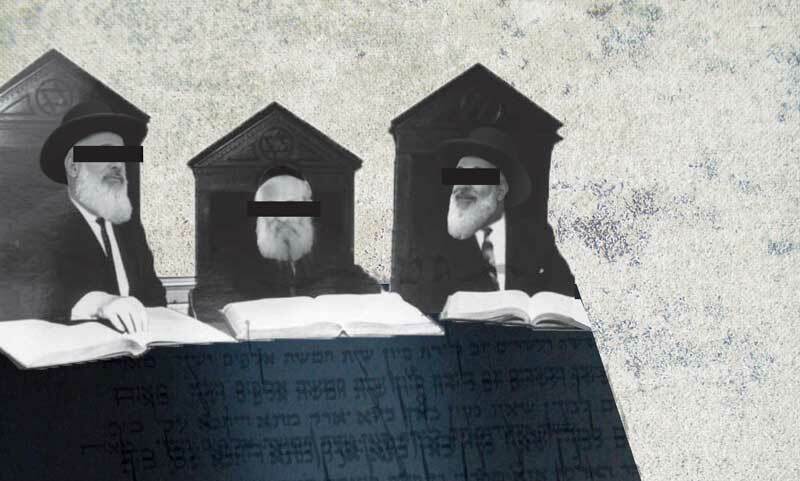 In 2008, in one sweeping move—and with the support of a single American Orthodox organization, the Rabbinical Council of America—the rabbinate limited its recognition of conversions performed abroad to a short list of handpicked rabbis and rabbinical courts. As a result, Hiddush estimates that at least half, and perhaps even two-thirds of all children growing up in the American Jewish community today would not be allowed to legally marry in Israel. Their application to be married, however, was rejected since Waxman’s mother was converted in a ceremony performed by a religious court in America composed of Conservative rabbis. In the eyes of the Israeli rabbinate, Waxman’s mother never converted and she herself, born to a non-Jewish mother, was not a Jew. To this end, JFNA has established the Israel Religious Expressions Platform Committee, which Gelman co-chairs. The committee is meeting at JFNA’s November General Assembly to begin to determine its direction and recommendations. Other major American Jewish groups are also paying attention to the issue. In January, the American Jewish Committee (AJC) established an ongoing workshop to examine issues relating to marriage and divorce in Israel and their effect on Israel-diaspora relations. This summer, after numerous inter-ventions by influential rabbis in Israel and Canada, Shlomit Lavie traveled to Canada at her own expense and performed the halitzah, aided by the Chabad religious courts, who convinced the brother-in-law to appear for the ceremony. Upon her return, Shlomit and Alon were sure that they would finally be allowed to marry. But to their horror, the rabbinic court, citing another arcane religious law that is applicable only to Jewish men of Ashkenazi descent, declared that since they had cohabitated and since Alon is an Ashkenazi Jew, the couple could never be married in the eyes of the Jewish state. Under Tehila Cohen’s guidance, Shlomit has appealed the decision to a higher rabbinic court. Cohen remains hopeful that a court made up of different rabbis will have the halachic will, and find a halachic way. “There are many wonderful rabbis who realize that Judaism and democracy really can exist together,” she says optimistically. Según tomado de, http://www.momentmag.com/theocracy-democracy-project-uneasy-union/ el viernes, 31 de oct. de 2014.